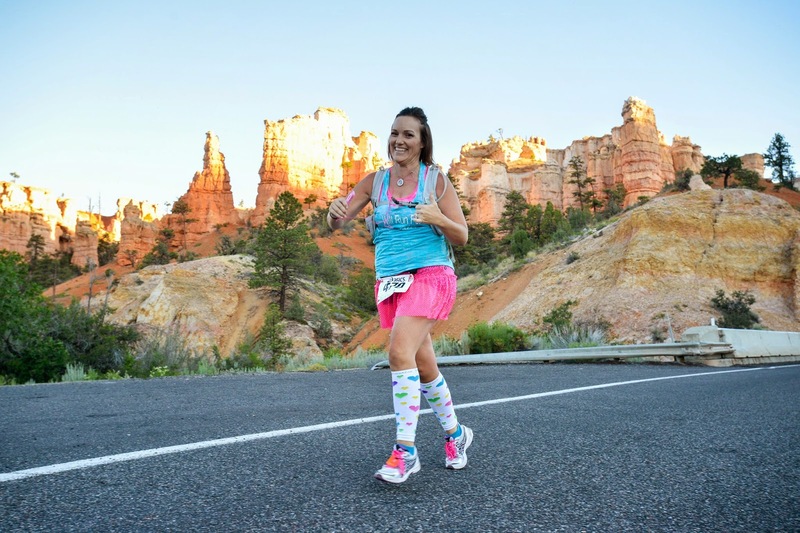 I had so much fun at the Bryce Canyon half. Half of the fun being the race but the other half was the time I got to spend with my family. Then we drove up to Panguitch where we stayed for the night. We stayed at the cutest little motel, Church's Blue Pines. It was right across the street from a very yummy ice cream shop called Scoops from the Past. We had yummy treats and they had photo props!! I text this picture to their mom. She said not to bail them out. This little town is filled with amazing photo props. We only had to go two blocks and we had so much fun. I was able to catch the shuttle here, which is about 20 miles from the start line. This was great cause my family got to sleep in a bit before coming to see me finish. I had a very crowded ride up to the finish but met some very lovely ladies. 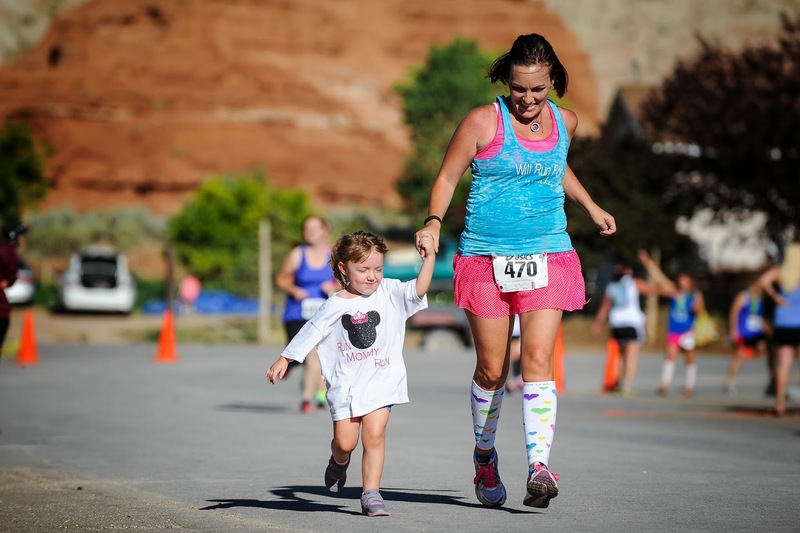 I was able to meet up with the others running from Kanab. We were set!!! Ready, Set, RUN! they let off fireworks even. It was almost like my favorite Disney races. 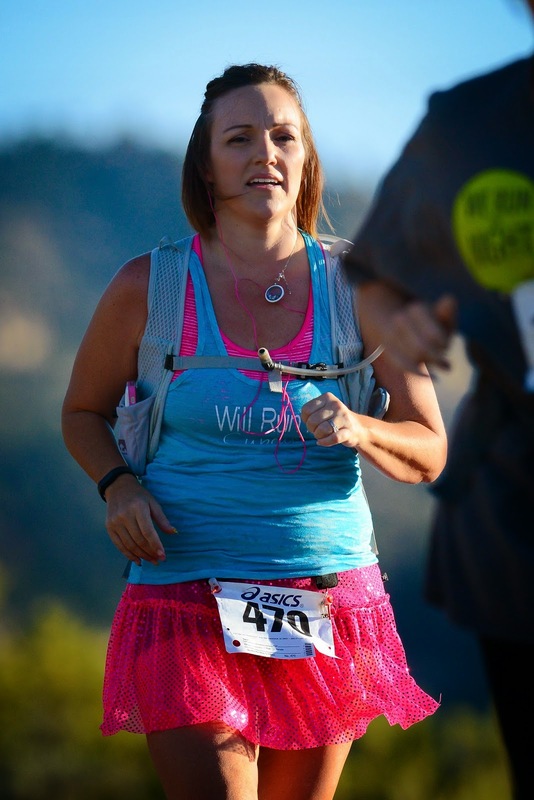 This race is an amazing downhill race and I took advantage of the downhill and just kept running. Normally I run 2 min and walk 30 seconds. I felt great. No knee pain. How cute are these mile markers? Around mile 9 it started getting warm and I started getting tired. I look it right. 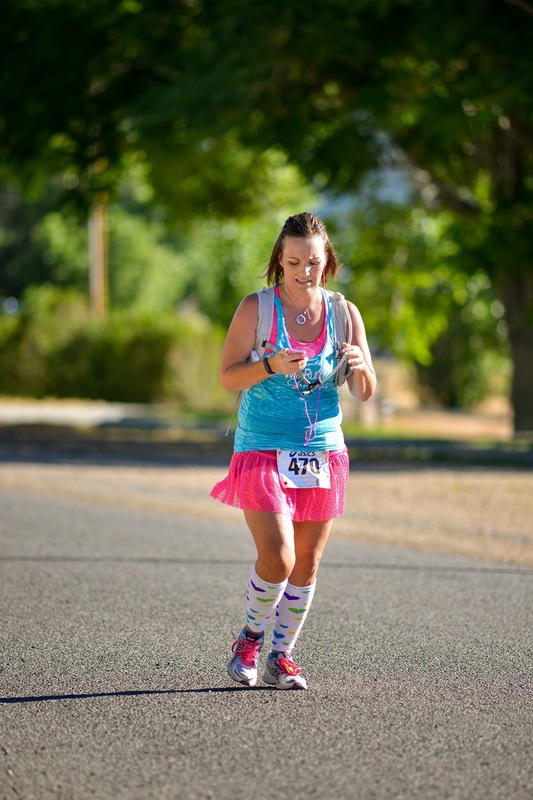 Oh and I forgot my Garmin and so the photographers caught me doing this...oops. I started walking a little and then a little more. I think I was running 1 minute and walking 1 minute. I was so glad to see my family. I had a plan to run with Shelby through the finish. I stopped and got tangled up trying to take off my hydration pack. Grabbed Shelby's hand and jogged with her through the finish. That was my favorite moment. I then met up with all my friends and cheered some on as the crossed the finish line. I was trying to get a good time. I didn't think I did good at all. I finished with 2:38:15 and my last 2 halfs were 2:42 and 2:38:52 so I had done it. I ran strong. I finished. Great medal and #11 is in the books. Time to eat. We went to Clarkes in Tropic to eat. Not the greatest food but it filled my belly. The kids got to color and I stole a pic with my honey. It was a great weekend and I will definitely be back next year.